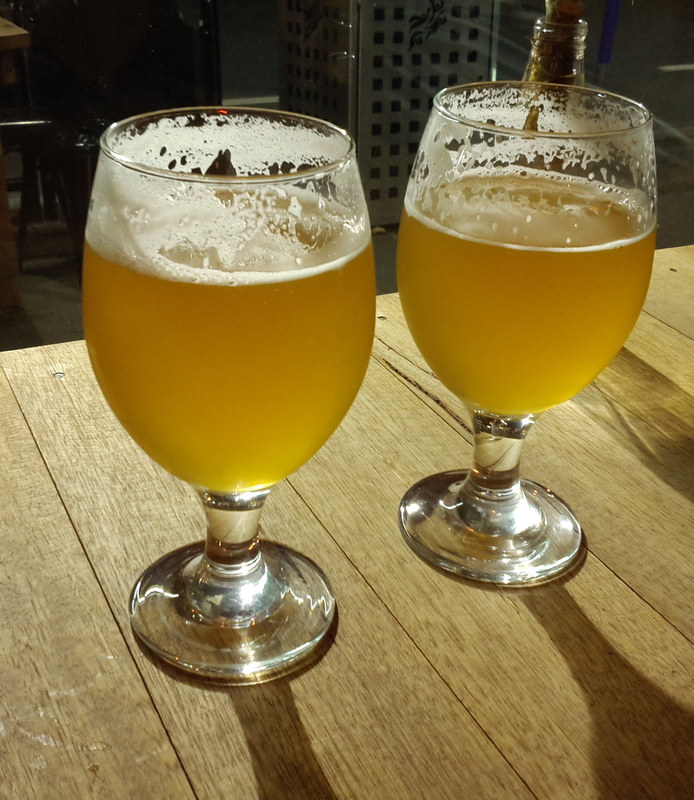 My partner and I had reached Friday of Good Beer Week – day seven of an epic nine days of beer amazingness. We started our day at The Gertrude for the Tasmanian Pint of Origin, then lunch at Brother Burger and the Marvelous Brew where they were hosting a tap takeover of Kiwi beers and finished the afternoon at The Tramway for the SA Pint of Origin. Our palates were well and truly warmed up and ready for the event for the evening – Birra del Borgo Collaboration Celebration at Slowbeer in Richmond. The event promised to be full of great beer, cheese and meat. That is exactly what we got and it was fantastic! But of course it wasn’t that simple. 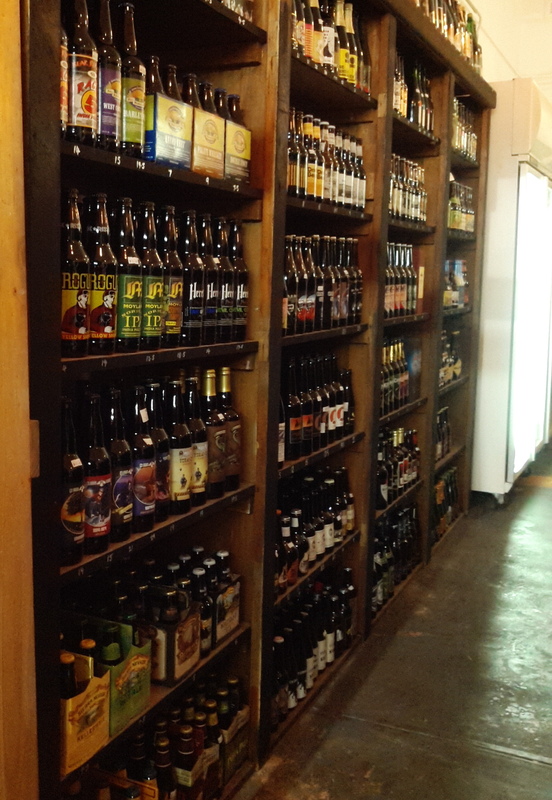 The beers were from Italian brewery Birra Del Borgo and all were collaboration brews. The cheese was also all Italian and the meats, well they were just yum. We were lucky enough to have the head brewer of Birra del Borgo himself, Leonardo di Vincenzo to guide us through his beers and the stories behind their creation. I’ve heard lots of good things about Dogfish Head but sadly have only tried one of their beers, their 90 Minute IPA, which was pretty damn tasty. Leo recounted meeting Sam Calagione, head brewer for Dogfish Head, at a beer festival in Montreal, and have now collaborated on two separate beers. The other being Etrusca which makes an appearance later in the evening. Leo described My Antonia as a traditional European style beer with some “special characters”. It’s an imperial pilsner that is continuously hopped, dry hopped and bottle fermented. It uses saaz hops, true to a European pilsner, in additional to two American hops – Simcoe and Warrior. My Antonia is brewed by both Birra Del Borgo and Dogfish Head separately. Whilst the recipe is the same Leo says there’s definitely a difference between the two. The My Antonia we tasted was brewed by Birra del Borgo. It was a lovely hazy straw colour with a thick mouth feel and big tropical fruits. It was served with Gorgonzola, an Italian cows milk blue cheese, and cured pork loin that was sweet and peppery. 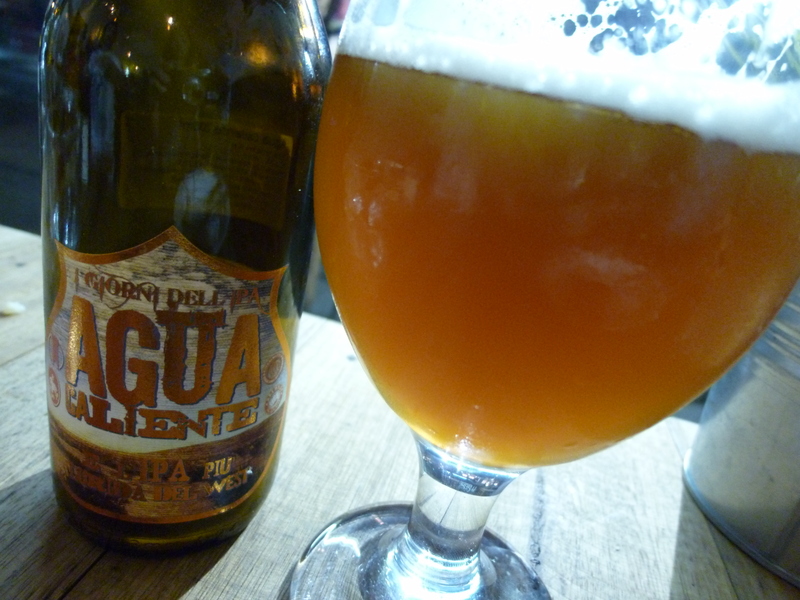 This is what happens when you get four Italian breweries together – Agua Calienta. Leo calls this a “crazy beer”. The beer is their interpretation of a traditional British India Pale Ale. They used French oak fermenters, normally used for wine production, to increase oxidisation in the beer. It’s their way of representing to the long journey that IPAs of old would have made from Britain to India. They used four types of malt and popular English hop East Kent Goldings with New Zealand Pacific Jade hops. The result is an earthy, spicy and biscuity beer with hints of raisins and I even got a little caramel. 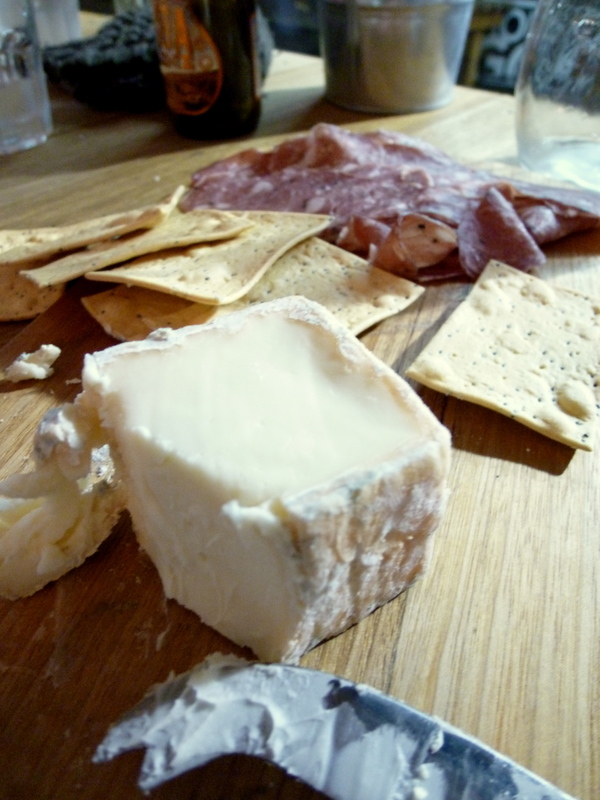 Agua Calienta was served with black truffle salami and taleggio cheese. We almost asked if the cheese was cave ripened since we had just been educated about taleggio at the event at The Local Taphouse but you don’t want to be those people. Plus it’s not like we are experts, just shameless cheese eating machines. ReAle in Kilt is a reimagining of Birra del Borgo’s flagship ReAle, an American style pale ale, made with Scottish brewery Brewdog. They started this project with Brewdog last year and says they are pretty good friends, “when we drink beer, we drink strong beer”. This made the 8.4% abv of ReAle in Kilt pretty unsurprising. 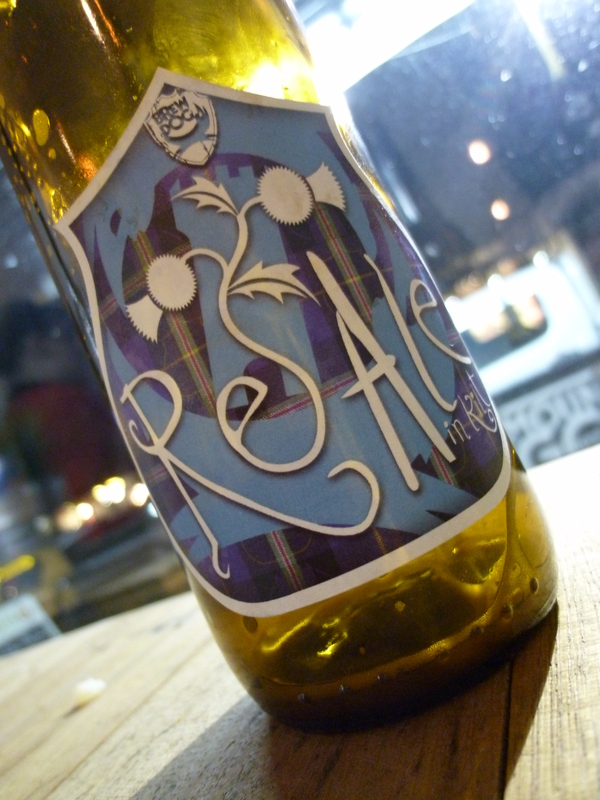 ReAle in Kilt uses wood fermentation and all German hops, showing a definite break from the original ReAle. It’s an intriguing and rather moreish beer. I got flavours like bacon, smoke, biscuit and toffee. 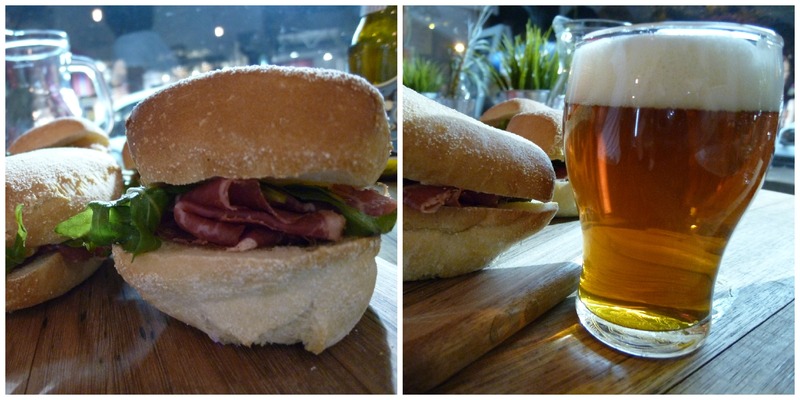 It was a great match to Wagu bresaola, oak smoked cheddar and rocket sliders. Etrusca goes exploring through the ancient Italian Etruscan civilisation, roughly around where we call Tuscany. 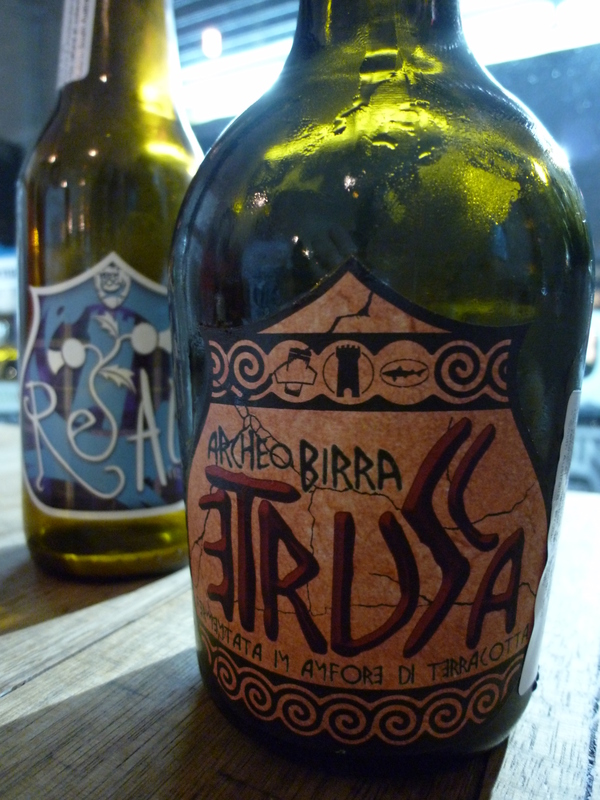 Leonardo, Sam (Dogfish Head) and Teo Musso (Baladin) traveled to Rome with an archaeologist to examine drinking vessels from 2,800-year-old Etruscan tombs and from there they created Etrusca. The beer aims to be as authentic as possible and as such incorporates some different fermentation vessels and ingredients to create an ancient ale. Ingredients include gentian root, hazelnut, pomegranate and grapes as well as an ancient yeast strain. For variety each brewery used a different fermentation vessel – Dogfish Head using brass, Baladin using wood and Birra del Borgo using terracotta. 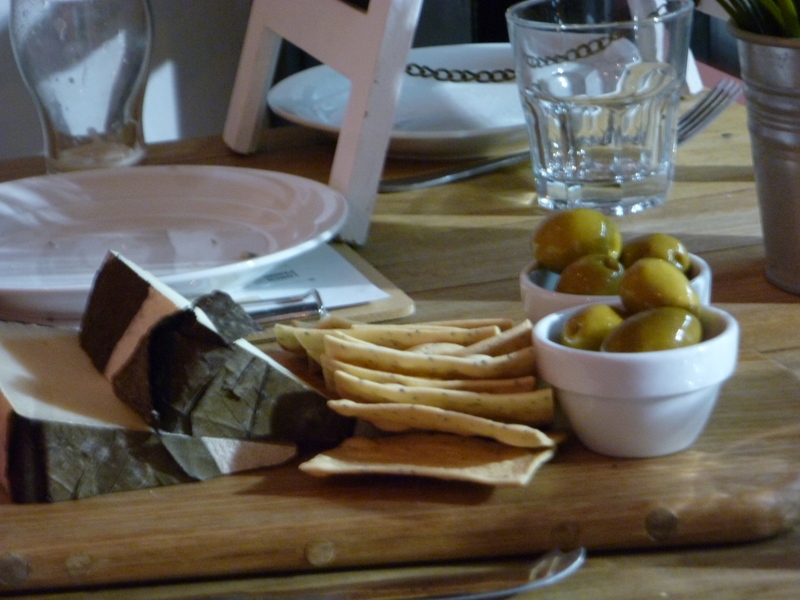 Etrusca was served with an Italian cows milk cheese wrapped in walnut leafs and olives. Leonardo was asked about his thoughts on beer trends and consumers expectations. It was certainly a relevant question considering the range of beers we tasted throughout the evening were arguably not appealing to the mass beer market. So how does a brewer balance their brewing creativity and curiosity with beers that, without being crass, make money? I strongly suspect this question is not that simple but Leonardo’s response was interesting. “I don’t care about the expectation of the customer”, he said without a tone of intolerance but more in the sense that it’s not what drives him to create new beers. He doesn’t get into trends either, “if craft brewers think about the trends of the market they lose their soul”. Ultimately Leonardo is looking for something different, something that tastes special. I think Birra del Borgo have certainly achieved that. 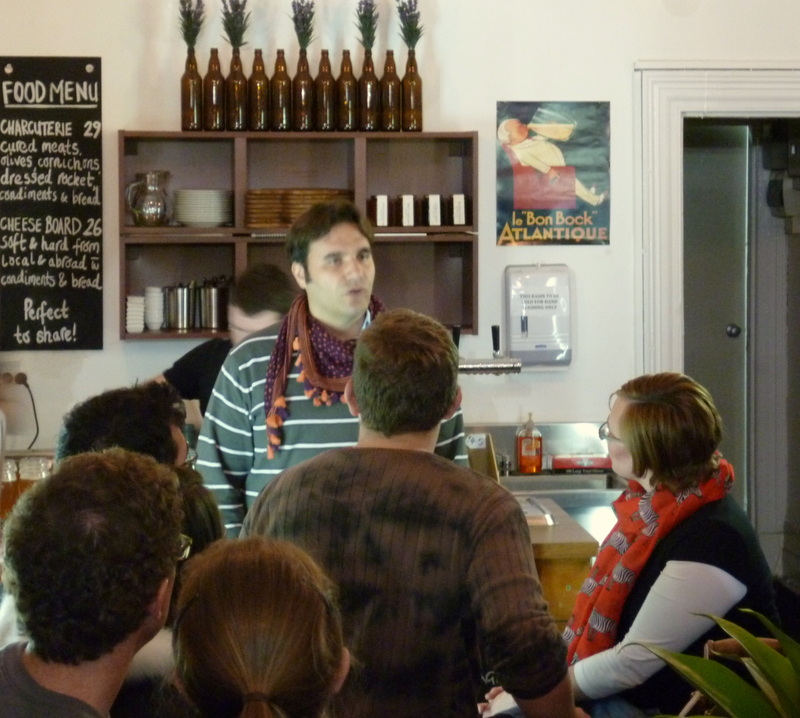 On a side note it seems to me a striking testament to Good Beer Week as a whole that Leonardo flew all the way to Melbourne to speak to us crazy Australian beer fans! Shameless cheese eating machines. Love it! I’m one of those myself! Given the amazing cheeses that were presented throughout good beer week it was cheese paradise!